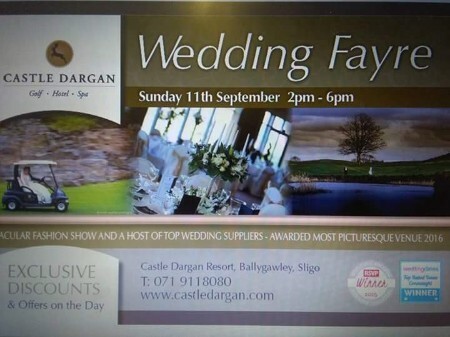 We are delighted to announce that we will be at the Castle Dargan Wedding Fayre in Ballygawley, Co Sligo on 11th September 2016 at 2pm-6pm. With top wedding suppliers, a spectacular fashion show, competitions and exclusive discounts & offers on the day. Talk to our Wedding Team on the day about the perfect Wedding DJ Package to suit your needs. From a full day and night package to a DJ after a band.